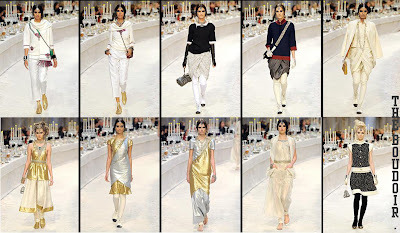 The Bombay-Paris show is a spectacle. I fell in love with the runway setting probably more than the clothes. 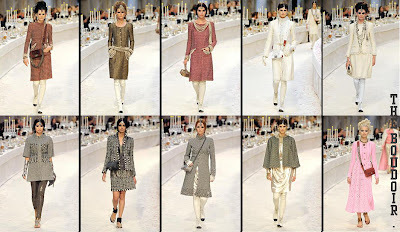 I loved the skinny above knee off-white boots and a some of the Chanel classic tweed jackets. Check out the full runway (link).